Transport Gallery, Los Angeles, CA. This was my first solo show in some time & I knew I wanted to go simple, but big. 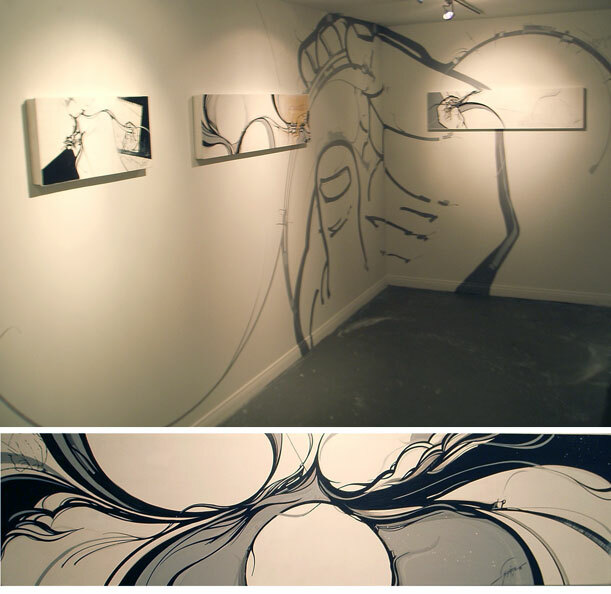 Over 25 new works were on display as well as a few light murals of Hands & my shapes. Kutmah & Coleman played very select instrumental beats & Jazz sets while over 200 people made their way in and out of the gallery. One wall installation consisted of over 40 individually screen printed Colby posters printed just for the event.